PANIC-buying amid price hikes of basic commodities peaked at the weekend in response to the Reserve Bank of Zimbabwe (RBZ)'s monetary policy statement, which economists argued failed to stem public distrust in government's financial management systems. RBZ governor John Mangudya, in a statement yesterday, said the central bank had started initiating the price stabilisation plan by drawing down on the $500 million lines of credit aimed at bringing sanity to the economy. "The bank has noted that increase of prices of certain goods has followed the spike in foreign currency parallel market rates, which is being caused by some people bent on duping the public of their hard-earned income," Mangudya said. "The opportunists are manipulating foreign currency parallel market rates to cause unnecessary panic and despondency and destabilisation of the economy. Such counter-productive behaviour is unwarranted and should be condemned by all peace-loving Zimbabweans." The hikes, which saw the price of a 2-litre bottle of cooking oil jumping from $2,85 to about $10, were triggered by the US dollar premium on the black market, which spiked to 165% from 120% last Monday, according to traders. Mangudya indicated that the $500 million credit facility, which will be used to procure essential commodities, could keep prices low. "As advised, the purpose of the facilities is to fund the procurement of essential commodities including fuel, electricity, wheat and raw materials for the manufacturing of cooking oil and packaging," he said. "In view of these positive developments, the bank would like to assure the public that there is sufficient fuel available in the country and, therefore, there is no need for panic-buying of fuel and other essential commodities." Confederation of Retailers' Association president Denford Mutashu said they were working with government and industry to stabilise the prices and ensure they were brought down. "Basically, it's a supply side issue. Retailers do not increase prices if the supplier does not increase, and also it's an issue of access to foreign currency, which is now found on the black market given that most products on the shelves are imported. We are engaging government for access to foreign currency," he said. Confederation of Zimbabwe Industries president Sifelani Jabangwe, however, said the measures would not curb price hikes since not all businesses were being allocated foreign currency. He expressed fear that the black market would continue to drive the exchange rate, forcing prices to "shoot through the roof". "Not all businesses are getting foreign currency from the RBZ, this was being prioritised for those producing the basic commodities. Everyone else has to go and fend for themselves, so the government is essentially turning a blind eye, where people go to the black market and again, we are saying this is not sustainable," Jabangwe said. "There is now an exchange rate between the US dollar, the bond note and the RTGS [real time gross settlement] and the US dollar. This is what is now driving significant price hikes on the market, except those basic commodities." 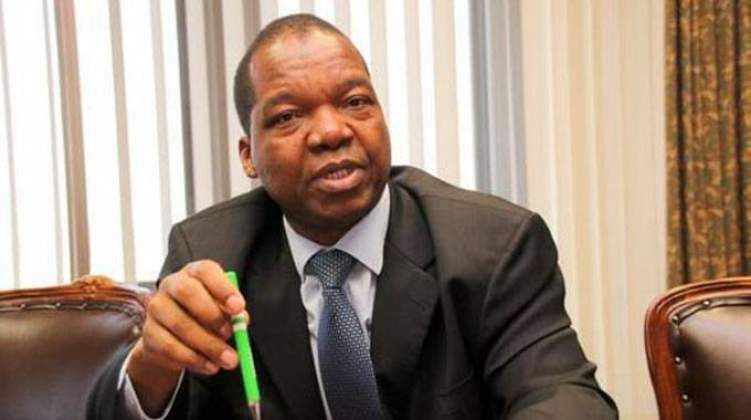 The price hikes were triggered by fears that the RBZ was seeking to reintroduce the Zimdollar through the backdoor after it announced the separation of US dollar foreign currency accounts (FCAs) from RTGS FCAs, but Mangudya yesterday dismissed the fears as unfounded. "The bank would like to reassure the public that the multi-currency system will remain in use and the bank shall continue to secure lines of credit to supplement the country's foreign currency earnings from exports and diaspora remittances in order to support the entire economy," he said. Mangudya said the separation of nostro accounts from RTGS accounts did not mean that those with RTGS accounts would not have access to US dollars. "What we are saying is that those with FCA accounts will not have to wait in the queue to access the US dollars. This will encourage people to bank their hard currency. Those with RTGS accounts will just have to wait in the queue to access the money at 1:1 with the US dollar," he said. Mangudya, who is out of the country seeking new lines of credit and foreign currency support, said the RBZ had already paid $40 million to buy fuel. "The bank released US$40 million for the procurement of fuel on Friday, October 5, 2018 and the fuel is currently being supplied and delivered to the various filling stations and supply points across the market," he said. "The bank is grateful to the National Oil Company of Zimbabwe for working round the clock to ensure that the fuel is delivered to the oil marketing companies across the country." Mangudya also warned illegal foreign currency dealers against manipulating the currency on the parallel market and forcing price hikes for speculative reasons, saying such actions were counterproductive.